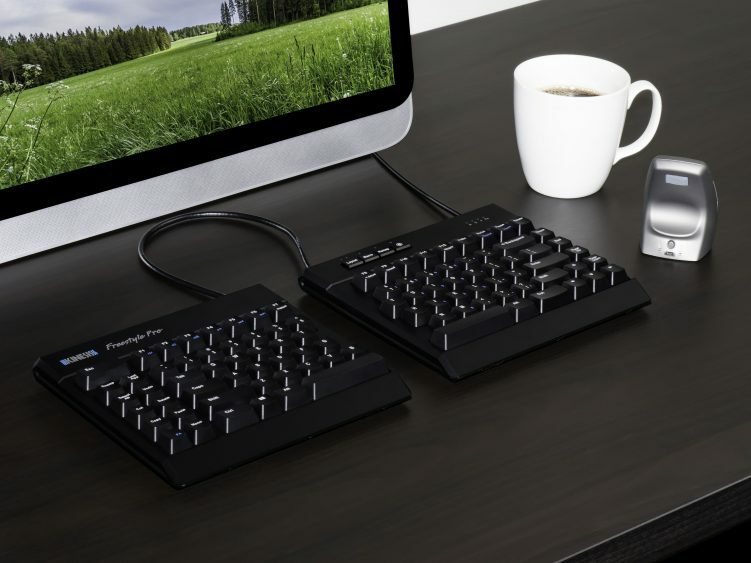 All-new split mechanical keyboard designed to provide maximum comfort, performance and adjustability for Windows and Mac users. 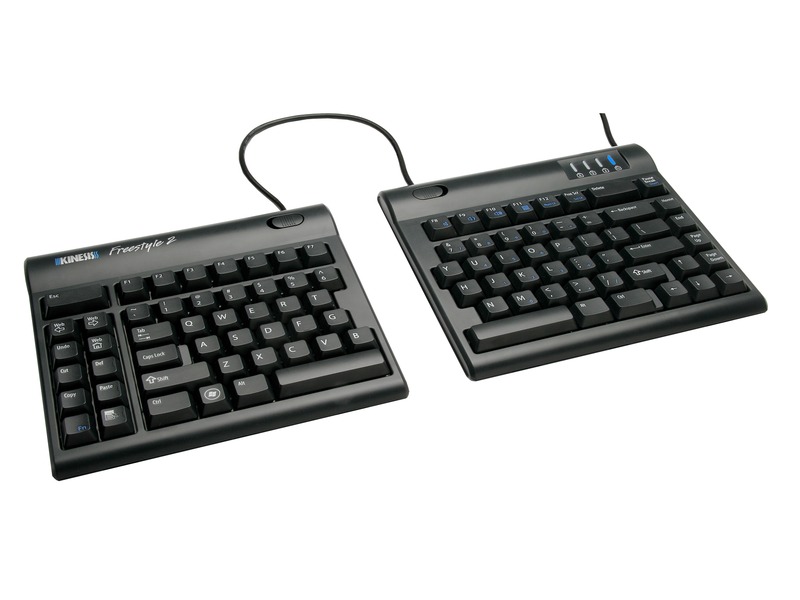 Equipped with Cherry MX Quiet Red mechanical key switches and the SmartSet Programming Engine. The award-winning Freestyle Pro keyboard offers the same advanced ergonomic features of the Freestyle2 but with the additional benefits of full on-board programmability and low-force Cherry MX Quiet Red mechanical key switches. 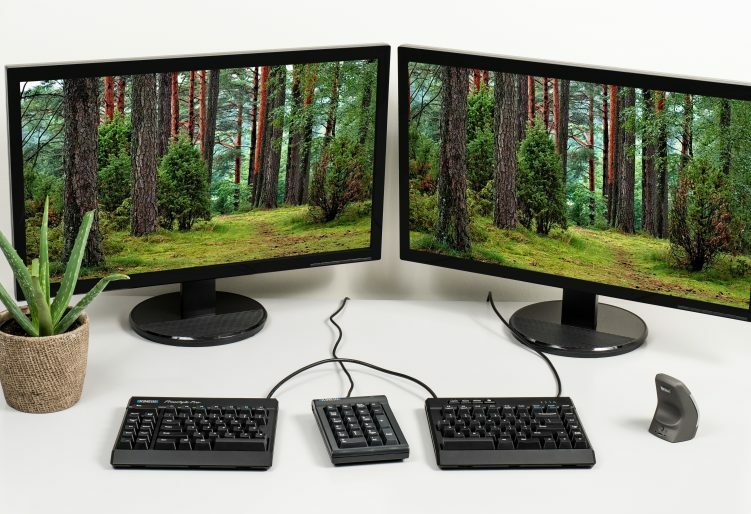 Instantly switch between Windows, Mac and Dvorak layouts or create your own. 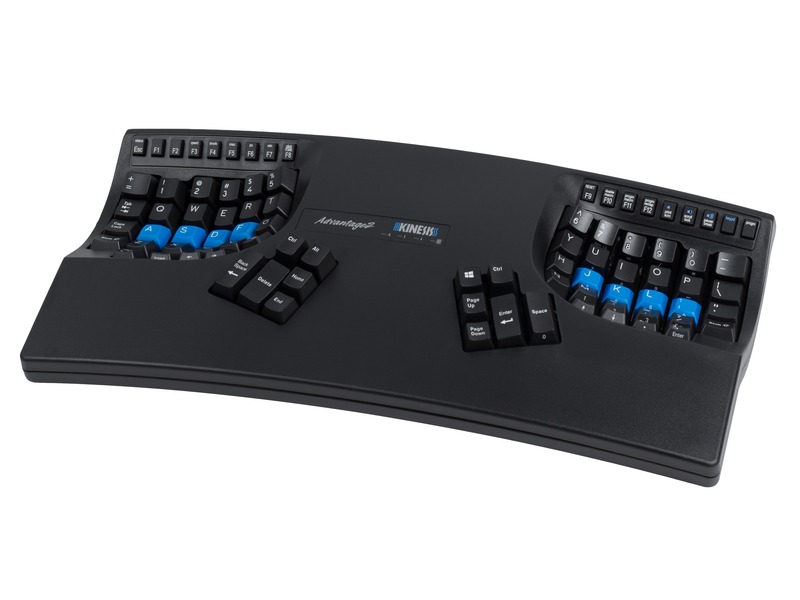 The FS Pro makes programming a breeze with onboard shortcuts and the no-install SmartSet App. 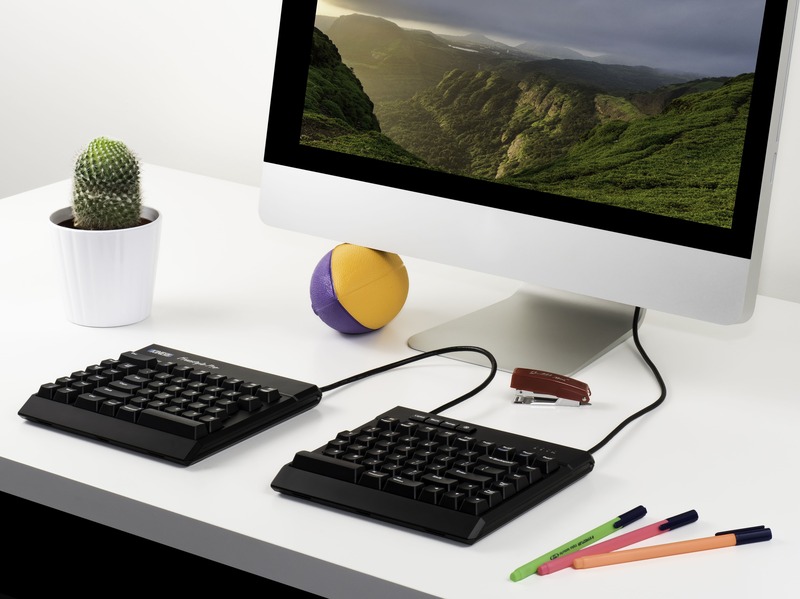 And with a standard 20″ linking cable everyone can find their comfort zone. As with the Freestyle2 the FS Pro retains a zero degree slope from front to back. 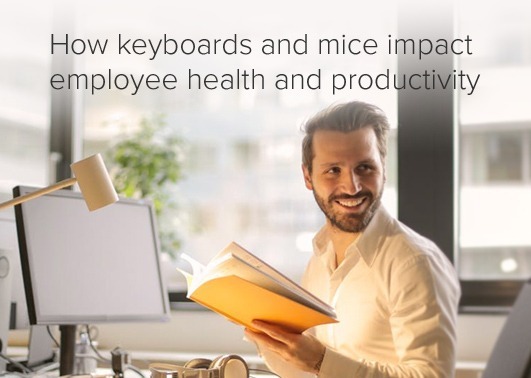 Most keyboards including ergonomic models have a 10 degree positive slope. These designs tend to bend your wrists. 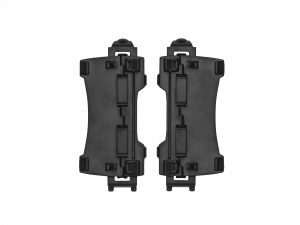 The FS Pro’s zero degree slope decreases the height, effectively creating negative slope and reducing wrist extension. 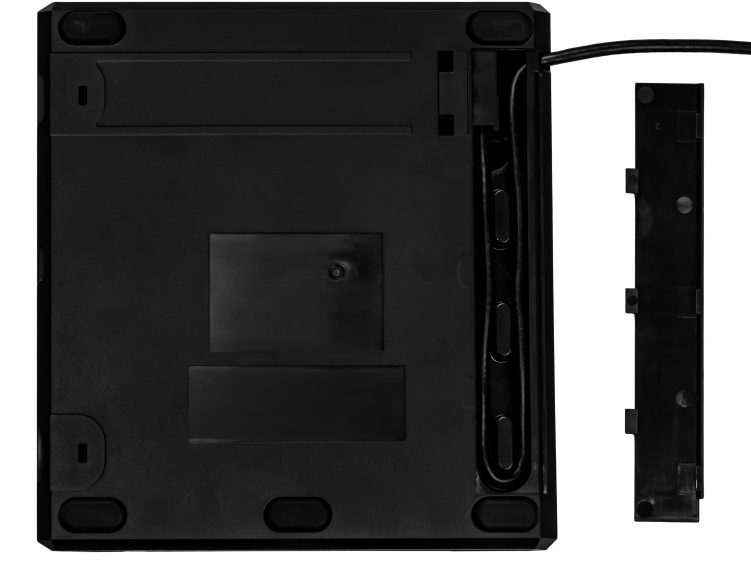 The two key modules are connected by a 20 inch linking cable that can be adjusted to suit your preferences and body type. 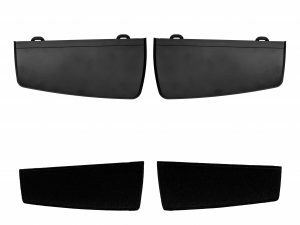 The basic configuration allows up to 12 inches of separation. 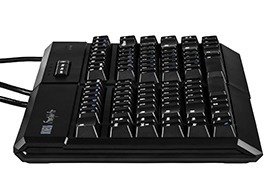 If you need additional separation, simply remove the cable compartment cover located on the back of the left key module and thread out more of the stored cable until you find your desired width. 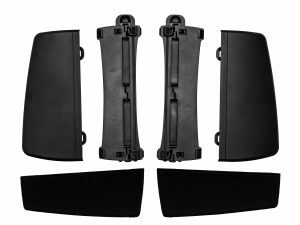 For people that are experiencing forearm discomfort two tenting accessories are available to reduce forearm pronation. 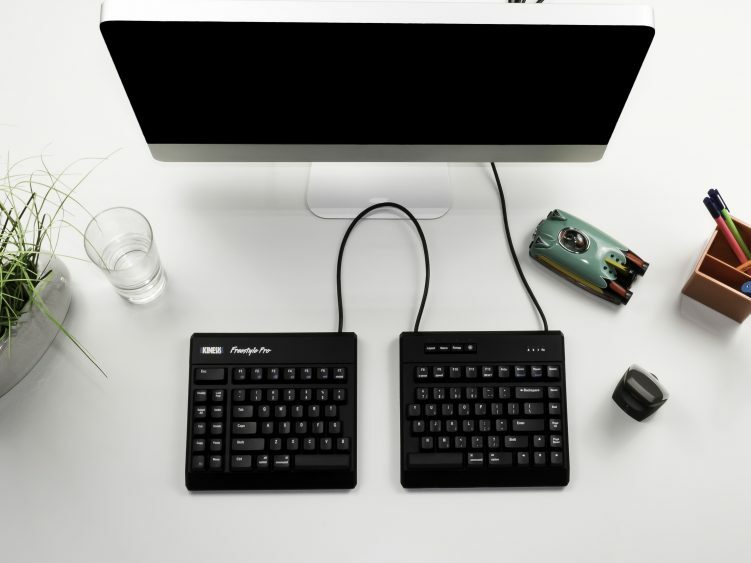 The VIP3 Pro (with palm supports) and V3 Pro (without palm supports) attach easily to the underside of the Pro keyboard providing 3 easily adjustable slope settings of 5, 10 and 15 degrees. 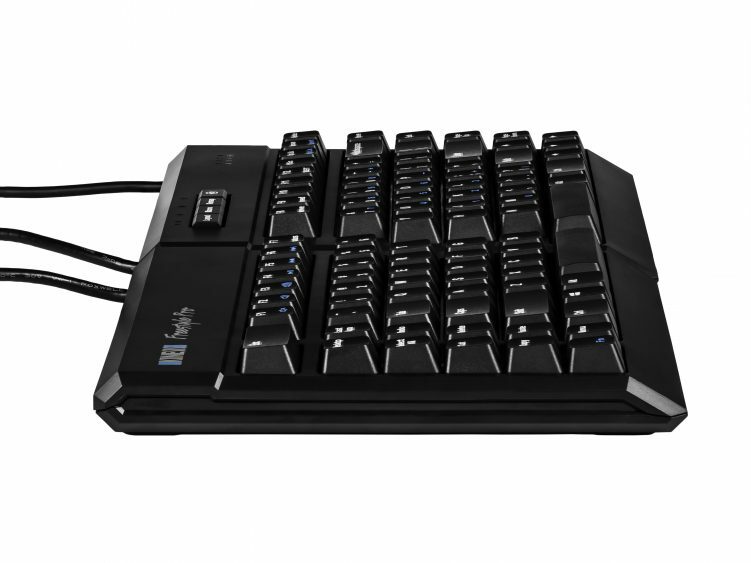 The Freestyle Pro (KB900-RDQ model) utilizes the newest Cherry MX Quiet Red stem mechanical key switches which have a linear feel, low activation force, and sound-dampening components to make them quieter than conventional mechanical switches. 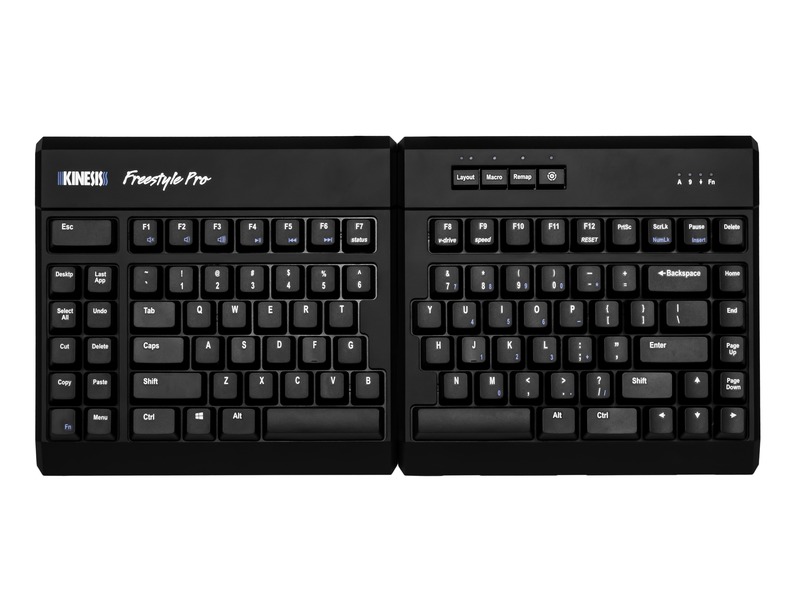 The fully programmable Freestyle Pro features Kinesis’s all-new SmartSet Programming Engine that allows you to customize the keyboard’s layout without installing any clunky software or special drivers, or accessing the internet. 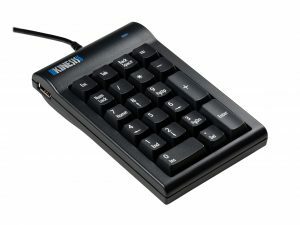 Record macros, remap keys, and much, much more using convenient onboard shortcuts. SmartSet works on all major operating systems and enables users to easily create, view, edit, share, and backup their custom layouts. 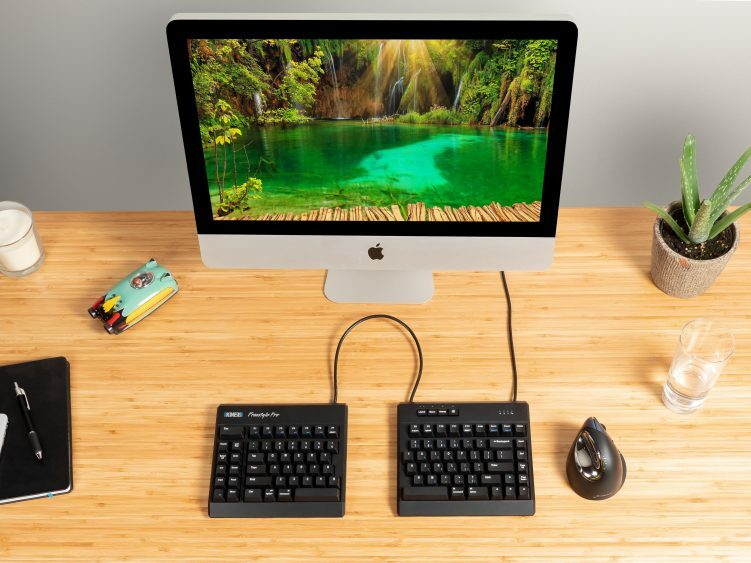 Upgrade to the latest firmware for even more macros… 100 per layout! Prefer a graphical interface for customizing the Advantage’s layout and setings. 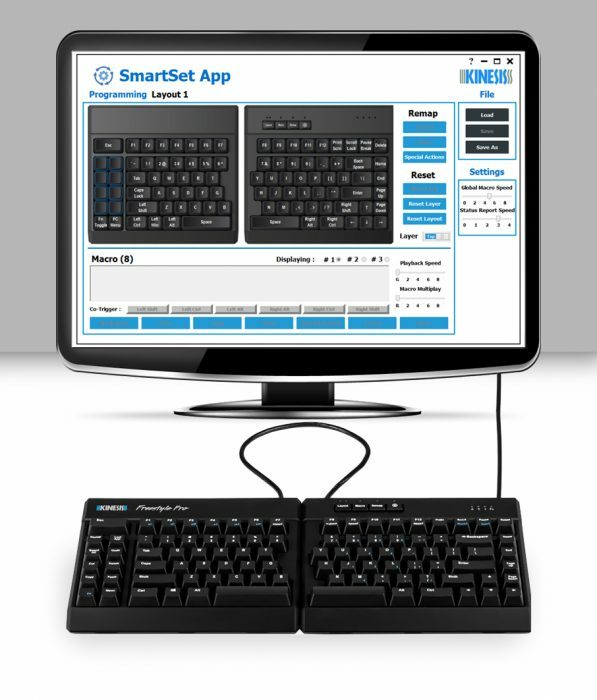 Launch the no-install SmartSet App directly from the keyboard on your Windows or Mac computer to view layouts, create/edit macros, and adjust keyboard settings. 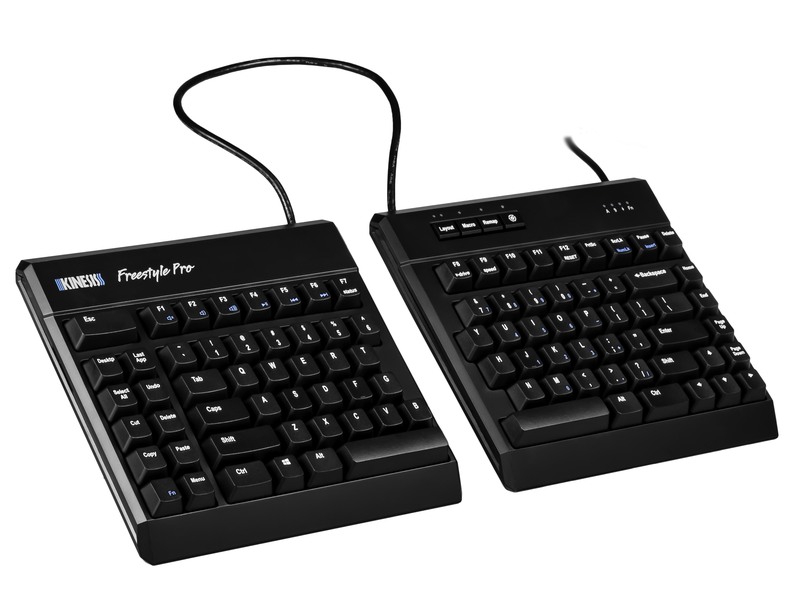 Is Freestyle Pro right for your office?